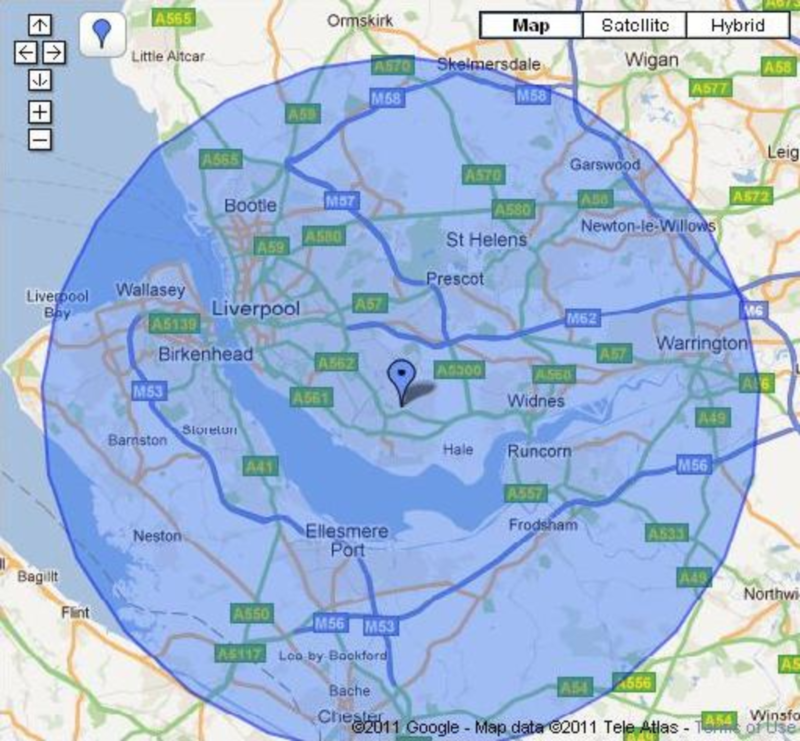 MJ Castles cover Liverpool and the surrounding areas including Runcorn, Widnes, St Helens, the Wirral and Warrington. Most areas come with free delivery. There are some areas however which do incur a small delivery charge. This charge goes towards rising fuel expenses and any tunnel or toll charges. For an accurate quote, please use the Postcode Checker on the right of the website. If you do not see your postcode, there is a chance we can still deliver to you but we need to generate a more personalised quote. NOTE: If your looking to hire our one of our rodeo bulls, pucker powder machine, chocolate fountain machine, popcorn machine, candy floss machine or pick 'n' mix stands - WE COVER THE WHOLE OF THE NORTH WEST! It's only our bouncy castles which are limited to Liverpool and the surrounding towns. If you hire one of them above items, you can hire a bouncy castle or slide with it. We have been known to offer our services nationally, not just for corporate companies but for private hires also. If you or your children love one of our bouncy castles and there is nobody local to you with a similar one, we may be able to help you out. Our fuel and other expenses would need to be covered. Get in touch if you would like a quote. See the map below to see our most popular areas covered.